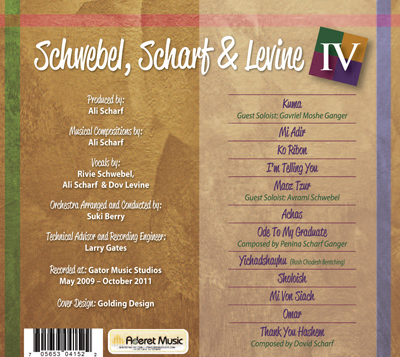 Schwebel Scharf & Levine Release Volume IV! After nearly a 10 year hiatus, Rivie, Ali and Dov have come together once again to record a collection of captivating compositions, meticulously arranged and performed in their unique and fresh style — nigunim that will find their way into your heart. 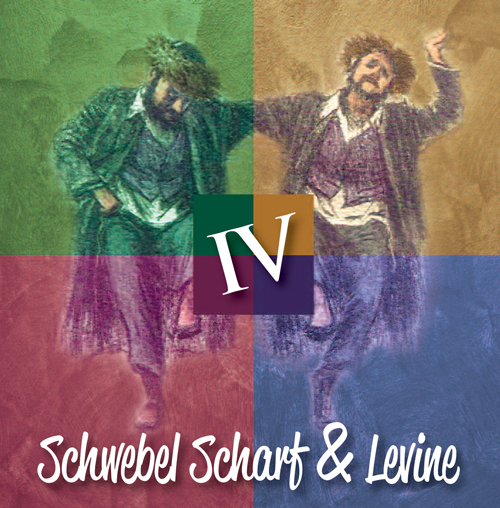 It is with great pleasure that we present to you Schwebel Scharf & Levine IV. 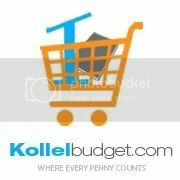 As a bonus of you buy the new album you get the out of print, "The Pintele Yid" album.